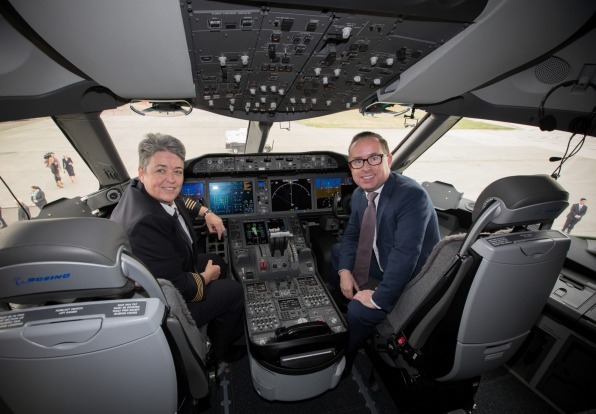 It's been called "the Holy Grail route", the "final frontier" in commercial aviation: a non-stop flight between Sydney and London which Qantas chief executive Alan Joyce has pledged to launch by 2022. In August 2017, Joyce challenged the world's two leading aircraft manufacturers – Boeing (in Seattle) and Airbus (spread across France, Germany, Spain and the UK) – to produce a plane capable of two twin miracles. The easy part of what Joyce labelled "Project Sunrise" is to design a plane capable of flying the enormous gap – 10,576 miles or 17,020 kilometres – between the biggest city in Australia and the biggest city in western Europe, safely and repeatedly. 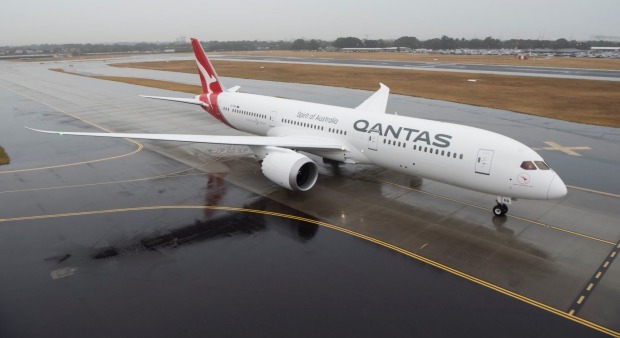 The harder part is to design an aircraft that is so fuel and weight efficient that Qantas can make a profit (which will inevitably involve a large economy cabin because so much of the traffic is tourism-related). Patrick Smith, pilot, aviation blogger and author of The New York Times's bestselling guide to modern air travel, Cockpit Confidential, has no doubt either Boeing or Airbus will deliver. "It's only a short matter of time before this flight is finally in place," says Smith, who rose to prominence via his internationally popular Ask The Pilot blog. "It's already within our technological reach. 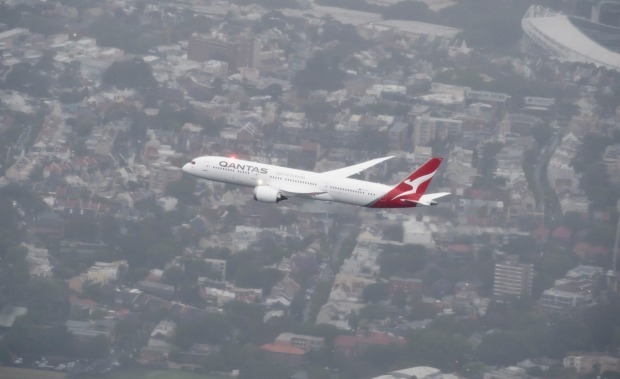 Qantas just needs to hash out which plane will be the most economical choice." 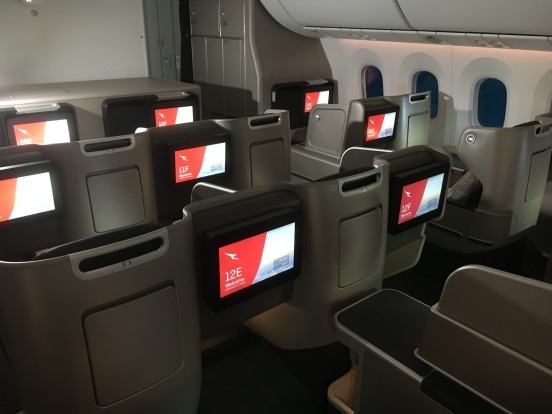 Qantas itself put down a marker when it introduced its non stop QF9 flight between Perth and London in March last year. 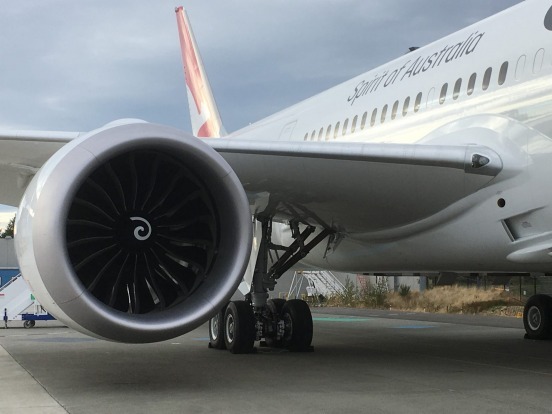 That service, using a Boeing 787-9 Dreamliner, requires passengers to be in the air for 17 hours – and has (according to Qantas) exceeded its expectations. On October 11 last year, Singapore Airlines' took the title for the world's longest flight route when SQ22 departed Changi airport bound for New York (or, rather Newark Liberty international airport in neighbouring New Jersey) aboard the brand new A350-900ULR. Those aboard, including this writer, (in a two class configuration: 67 business seats plus 94 in premium economy) were in the air for an estimated 18 hours, 45 minutes. As human athletes hone in on running the marathon in under two hours (Kenyan Eliud Kipchoge ran the 2018 Berlin marathon in a once impossible 2:01:39 in September), so airlines are pushing the boundaries of aviation reality. "Quaint, indeed, seem the days when Pan Am executives sat in their Park Avenue skyscraper, scratching their heads over ways to make a Boeing 747 reach Tokyo without refuelling – a mere 5800 miles," says Smith, a working pilot who flies Boeing's 757 and 767 aircraft. "Thanks to aircraft like Boeing's 777LR and the Airbus A380, almost any two commercial air markets in the world are now linkable in a single fell swoop. "The challenges of long-haul flying are no longer technological so much as human. That is, how do you keep passengers comfortable, or even sane, with flight times pushing 20 hours? 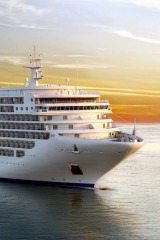 "In first and business class cabins, things have never been more swanky and luxurious than they are today. "But in economy class, no matter how many video channels or free cocktails you give people, there's a point beyond which the simple physiology of being human makes the experience intolerable." But these "Ultra Long Range" flights (ULR) are only one aspect of the fast-changing nature of international air travel. Even the most seasoned traveller or frequent flyer finds it hard to keep pace – let alone those of us who can only afford an occasional flight abroad. Traveller asked a panel of a trio of aviation experts, including Smith, to identify the new rules of flying for the ultra long-range age. Jordan Chong is the news editor of Australian Aviation magazine. See australianaviation.com.au. Patrick Smith's online "Ask The Pilot" columns led to him writing the best selling book, Cockpit Confidential. His articles – written when he's not in the air – appear in The New York Times and The Boston Globe. See askthepilot.com. With apologies to Shirley Bassey and the appropriately-named Propellerheads, "the next big thing is here, the revolution is near, but to me it seems quite clear, that it's all just a little bit of history repeating". Take Singapore Airline's "new" flight from Changi to Newark. The airline first initiated SQ22 in 2004, using the Airbus A340-500. Aviation legend suggests that plane was equipped with an on-board "morgue" in case anyone died on the remote route which flew close to the North Pole. Then the service was axed – morgue and all – in 2013 – a victim of the Global Financial Crisis and bloated fuel prices. So why revive it now? The world economy has improved, and this service connects two of the world's great commercial hubs. Plus this new generation of aircraft is much more fuel efficient and faster. 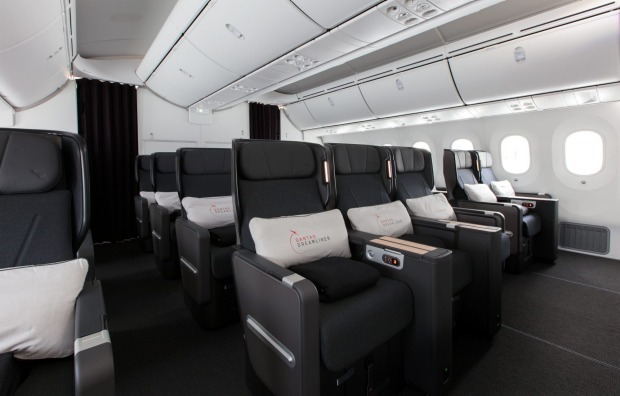 The new flight is confined to two classes: business and premium economy because the airline believes it will appeal principally to those with expense accounts who are prepared to pay a premium to arrive at their destination quicker. 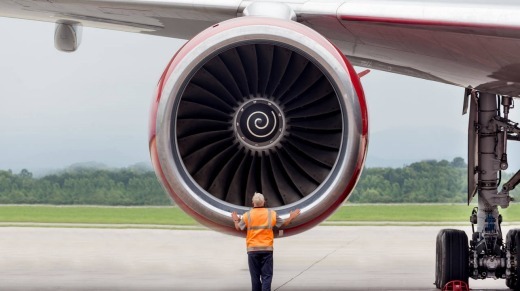 Increasingly frequent flyers are choosing their flights according to which aircraft are servicing their destination. "Knowing the differences between particular aircraft is definitely an advantage when choosing long haul flights," says Chui, adding that this rule is especially relevant for Australians and New Zealanders who travel long haul more than most nationalities. 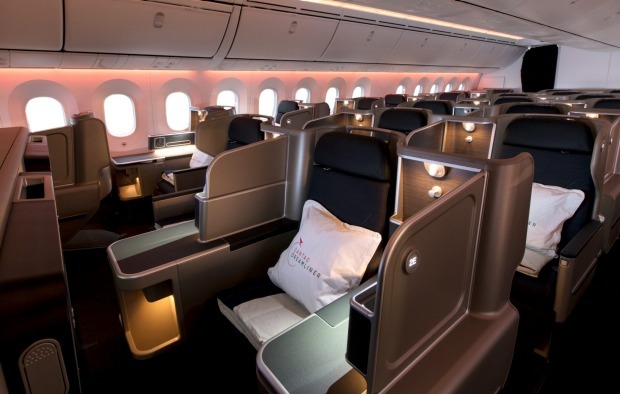 "We've seen drastic improvements at the front of the cabin (first and business class)," Chui continues. "However the evolution of the economy cabin has been lacklustre." The one major improvement for economy passengers has been the vast improvement in air quality, noise levels, humidity and overhead space in the new generation of planes like the 787 Dreamliner, A380 and A350. RULE 3: ASK YOURSELF, 'HOW LONG CAN YOU ENDURE ECONOMY'? 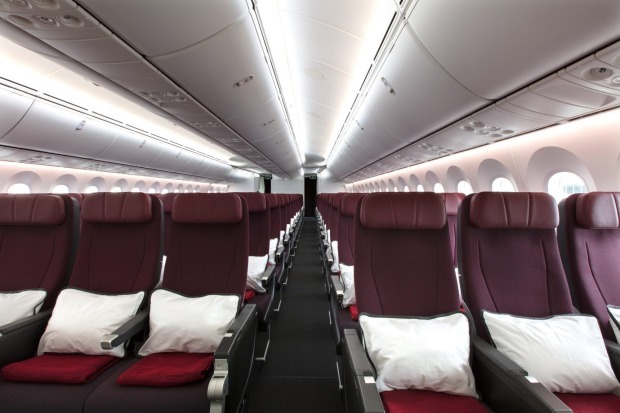 Economy class on board the Qantas 787-9. 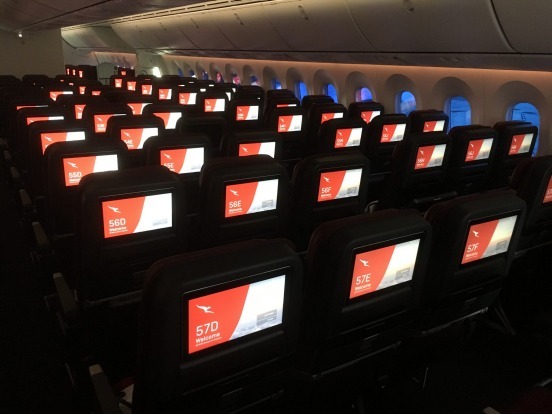 Qantas's nonstop flight between Perth and London (Boeing 787-9 Dreamliner) has room for 166 economy passengers who are in the air for up to 17 hours. 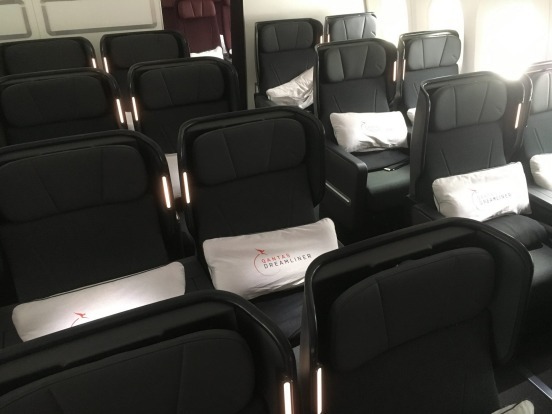 Like most flights, the service wouldn't be profitable without an economy section even though the Qantas equivalent on its Perth to London route has been modified in recognition of the extended time in the air. And Qantas boasts that occupancy rates have far exceeded its expectations. There's no doubt there's a market, but beware. 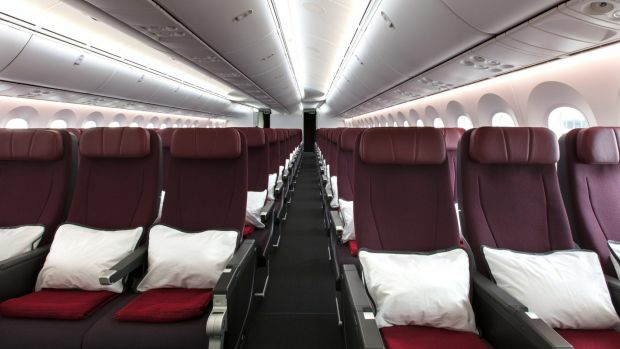 Chong, who flew Perth to London in economy, reports that – although the two main meal services contained healthier choices – everything else (seat pitch, blanket, pillow, in-flight entertainment) – is not too different to shorter flights. The jury is out on this one, Chong says. "Airfares are dependent on a number of factors, including supply and demand, as well as competition from other carriers. 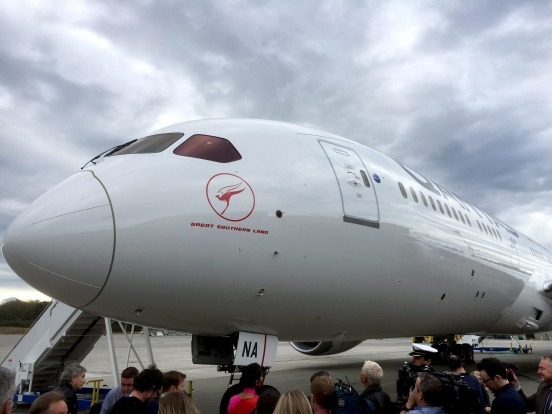 "Qantas may feel it is able to charge a premium for people wanting to fly between Perth and London without making a stop but it is constrained from having too high a fare by the fares of competing airlines offering one-stop itineraries on the route." Watch this space. 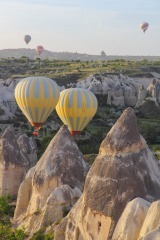 RULE 5: ASK YOURSELF, 'AM I HEALTHY ENOUGH TO FLY THESE LONG DISTANCE FLIGHTS'? "Flying is much healthier on this new generation of planes," Chui says. 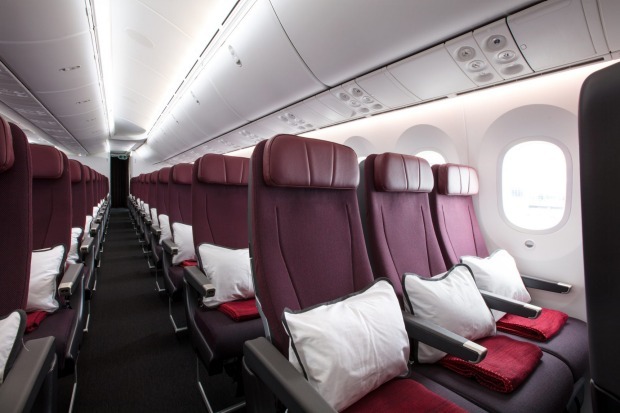 He cites both the Airbus A380 and A350 as "winners for economy passengers – especially for Australians who face long haul flights" because they offer a generous seat pitch and a reduced risk of jet lag. 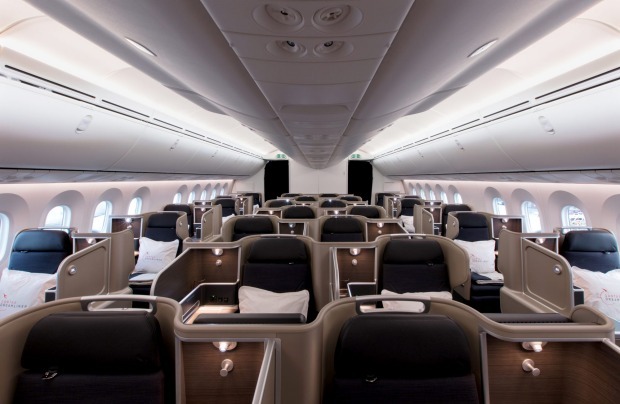 So too does the Dreamliner, which – like its Airbus rivals – has "lower cabin altitude" and more humidity, meaning you should arrive with less dry skin and better sleep. Chong is more cautious, pointing out Qantas and the University of Sydney has begun a study of frequent flyers "to monitor their physical and mental stages during their journeys". "I often drink plenty of water before the flight and bring a water bottle with me to make it easier to have water at my seat," Chong says. "Some airlines offer all passengers a bottle of water for long haul flights, while low-cost carriers charge for water. 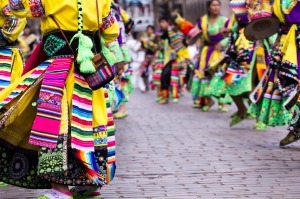 "Loose-fitting clothing can help make the journey a bit more comfortable too. Some passengers bring pyjamas to change into as that keeps their clothes in better condition when they arrive at their destination." 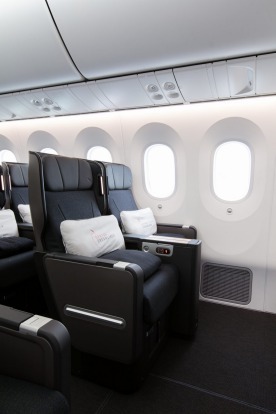 If you're lucky enough to travel on a Japan Airlines or All Nippon Airways 787 Dreamliner, you'll note the economy section consists of eight seats in a two-four-two configuration, Chui points out. That was the original design specification for the two launch airlines. "But every other airline has opted for a 3-3-3 configuration," Chui continues. That means nine seats rather than eight per row – and the reduction of each economy seat from the original 18 inches (46 centimetres) to 17.2 inches (43 centimetres). "That's noticeable if you have two big guys sitting next to each other," Chui says. 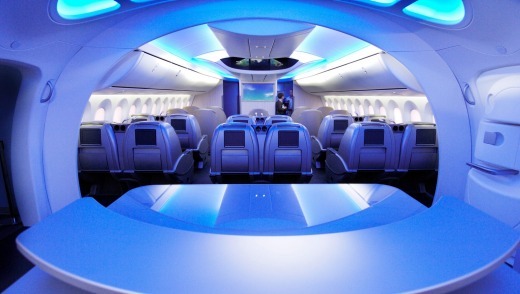 But Boeing has countered this by the Dreamliner's high ceilings and larger windows, creating an illusion of spaciousness. Chong disagrees: "The 787 has some of the narrowest seats ever installed in an economy cabin. On shorter flights, the difference between 17.2 inches and 18 inches [airlines still use imperial measurements] may not seem like much, but for long-haul flights it can mean the difference between a uncomfortable or manageable experience." You can now avoid London Heathrow, New York's JFK, Paris's Charles De Gaulle or similar overcrowded airports. Increasingly the world's top airlines are scheduling flights to what were traditionally second-tier airports. 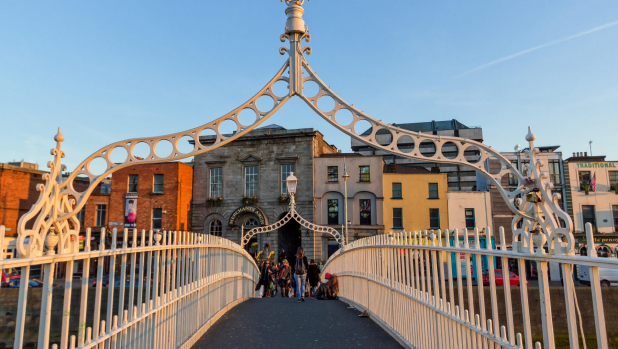 Cathay Pacific, for example, has just introduced a direct service from Hong Kong to Dublin, meaning any Australian who is visiting Ireland can bypass London altogether. Likewise, Qatar has international flights from Doha to British cities such as Manchester, Birmingham, Edinburgh and Cardiff – which are often closer to your ultimate destination and certainly easier to negotiate. "The trend in aircraft is away from large planes which fly hub to hub," Chui says. "The newer generation of medium sized aircraft mean you can often fly to your preferred destination." Scoot will start flying to Athens in 2019. Sir Tim Clark, President of Emirates (the world's largest airline), recently described the growing threat of low-cost long haul airlines as "the gathering storm". "The biggest challenge to the 'legacy airlines' (like Qantas, British Airways and Cathay Pacific) is the rise of the low cost long range carriers like Scoot and AirAsiaX," says Chui. 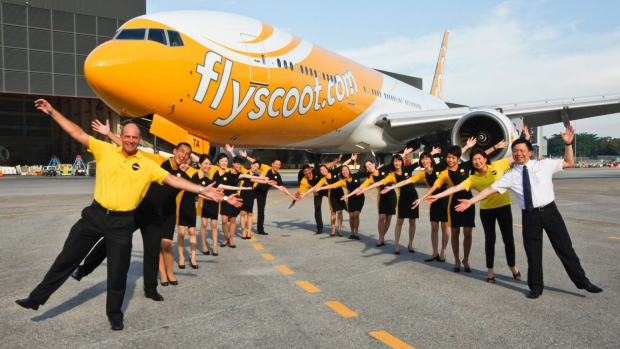 Scoot – a low cost subsidiary of Singapore Airlines – already flies from Changi to most Australian and New Zealand cities, and dozens of Asian destinations. But has now announced its first European destination – Athens – in 2019. AirAsiaX flies from Melbourne and Auckland to Kuala Lumpur, with onward connections to India, China and other Asian countries. 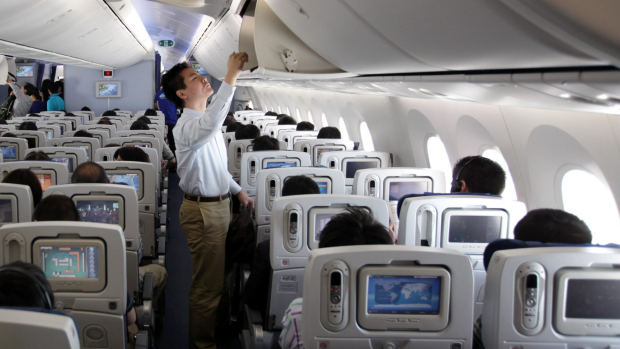 Choosing the best economy seats depends on the aircraft, and the airline's particular configuration of that aircraft. But it's also a matter of personal preference. Some passengers want to be first off the plane so prefer the front seats in the economy section, closest to business class. Others prefer the extra leg room of the emergency exit rows. Perhaps somewhere close to a toilet if you have a toddler? 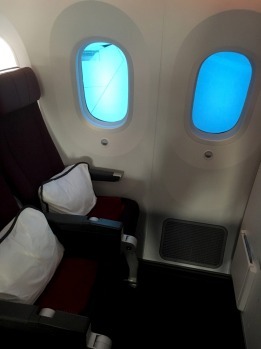 Or one of the seats near the back of the plane where the narrower fuselage reduces the number of seats per row. (The seat pitch itself doesn't change, but you feel less crowded). 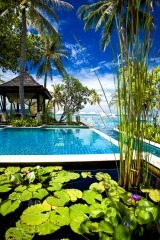 Check out the website seatguru.com for the exact seating plan for your flight. Rest assured. If passengers HAVE twigged that some seats are more comfortable than others, airline executives have worked out they can charge a premium for booking them. "Any seat with extra leg room in economy will involve an extra charge," says Chui. "That means the exit rows and the bulkhead seats. Each airline has its own pricing structure, and it's difficult to keep pace." If you're prepared to gamble, Chui recommends hoping onto the online check-in immediately it becomes available 24 hours before departure. Some "good" seats may be available without added charges. 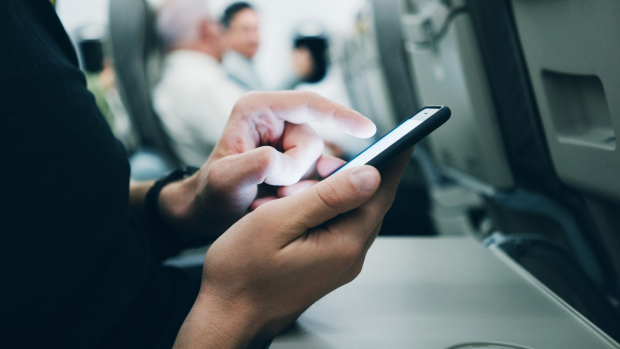 Scott Kirby, president of United Airlines, recently defended the airline's economy cabin charging system which makes it difficult for families to sit together without paying extra fees. "When you go to a concert, do you think you should pay the same price to sit in the nosebleed seats or to sit up front?" Kirby proclaimed, saying airlines aren't unique: "Every other business charges more for a better product." So families increasingly will be confined to "the cheap seats" – unless they're prepared to pay extra as a group. Qatar's service between a distant Auckland and Doha – currently the longest in the world – is not particularly profitable. But that's not the point. It persuades Kiwi passengers to continue their onward journeys to Europe (or Africa) on other Qatar flights via Doha. The major international hub airports (between Australia and Europe) have become international destinations in themselves, competing against each other to provide the best shopping, dining, spas, gyms, swimming pools, cinemas and hotels. Since most of us (especially in economy) want a break from that annoying stranger sitting next to us for the last eight hours, that's not likely to change anytime soon. Ask what special deals the competing airlines are offering. 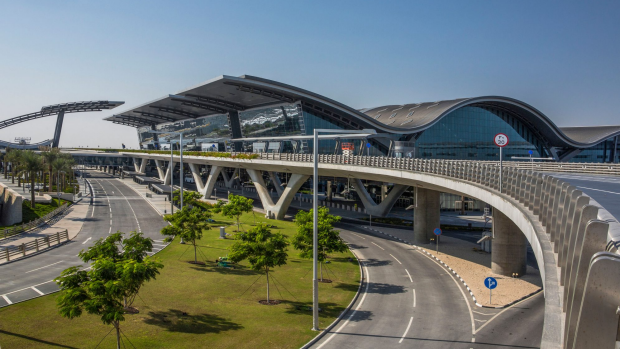 Korean Air, for example, offers a free night and meal at a comfortable hotel near Seoul's acclaimed Incheon airport if you're flying on to Europe (you won't know which hotel until you arrive at the departing airport). It doesn't mean you can explore Seoul (your connecting flight leaves early the next day and the Koren capital is a long way from its airport). 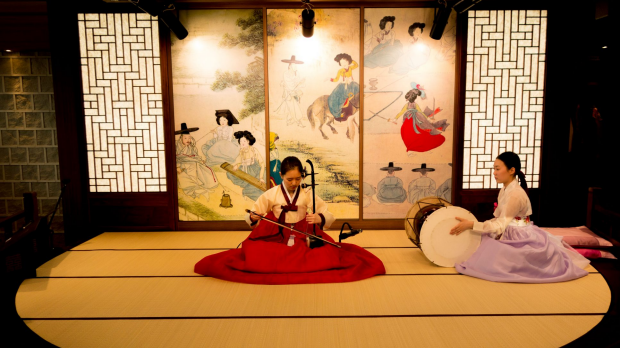 But it does give you a comfortable night's sleep and an albeit limited chance to experience Korean culture. Likewise Qatar Airways offers cut-price rates at a five-star hotel in downtown Doha (including limousine transfer) for little more than the standard fare. Singapore Airlines has a comprehensive range of stopover holidays, plus its Singapore Explorer Pass which can save customers hundreds of dollars. Is there anything more annoying about a flight (apart from a crash landing) than hearing the flight attendant say your favourite choice has been devoured and that you're stuck with the chicken pasta? Many airlines offer business class passengers the opportunity of booking the steak or seafood in advance. But economy passengers can do it too. Every international airline has a range of special dietary meals. You don't have to prove you're a Muslim, Hindu, Jewish or Jain to pre-order a particular meal. If in doubt, pre-order the seafood speciality (it will be far better than the usual economy offerings). This year I flew Qantaslink from Perth to Broome, and picked up headphones at the gate. Once aboard, I struggled to find where they plugged in. Finally the lady next to me said, "Have you noticed there's no screen? I hope you've brought a book!" It was a throwback to the days when I started flying. What a transformation there has been since then! iPads, Wi-Fi, online games, music libraries. How can economy passengers make the most of it? 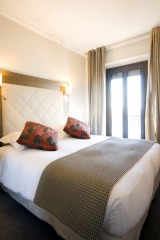 Check out what's on offer beforehand. Qantas, for example, has an app which outlines exactly what movies, movies and games will be on your specific flight. According to Chui, we're in the last age of the entertainment screen. "It won't be needed in future," he says. "At the moment we're seeing airlines put in bigger screens with higher resolution. "But broadband on planes is soon going to be so fast and so strong, everyone will be able to download their own content on their own devices via the internet." That, of course, will probably involve a Wi-Fi fee. "Whether the current Wi-Fi fees are justifiable is debatable," Chui says. Is it a reflection of the real cost of providing the satellite connection? Or just another way to grab revenue? 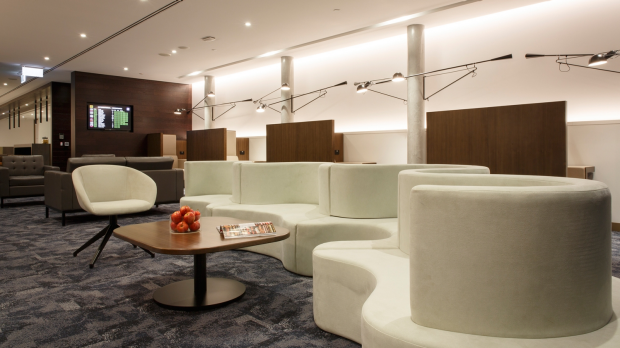 Chui lists five ways an economy passenger can enjoy lounge privileges. Check your frequent flyer flyer status – some airlines allow you access to their lounges even if you're not flying business, provided your card has sufficient status (silver or above). Some credit or charge cards include lounge access (American Express, for example, has its own airport lounges). You can purchase an entry pass: "Airlines are increasingly looking for ways of improving upfront revenues," Chui says. 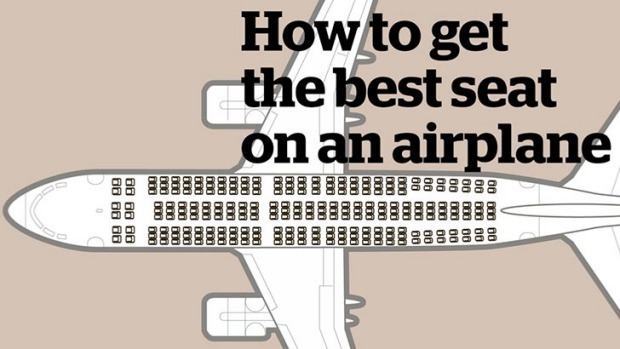 See if your airline has such a scheme, and whether the fee is worth it. 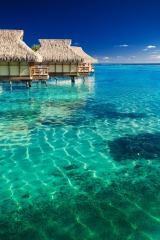 Explore the prioritypass.com website, which allows access to more than 1200 lounges worldwide. You pay an annual fee which then allows you to purchase entry to the relevant lounge at a reduced charge. Its rival is loungebuddy.com, another app, which allows you to see what lounges you are already eligible for via your frequent flyer flyer or credit card – and which ones can be booked if you're ineligible. 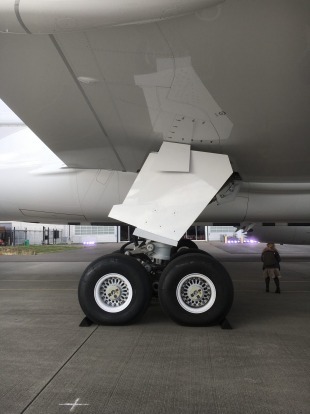 Both the newest Airbus and Boeing planes have more overhead cabin storage in economy. That's partly in reaction to American and European preferences, with short stay passengers wanting to "de-plane" quickly, knowing they don't have to wait at the baggage carousel (and that their luggage has actually arrived). 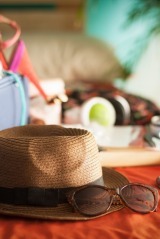 So investigate what you can take as cabin luggage. Some airlines allow a computer bag as well as a personal bag. Checked in baggage is overly complicated because some airlines have limits by "the piece" (it's the law for those airlines flying to the US, Canada and Brazil) while others charge by weight (in kilograms). So don't assume what was allowable on your last flight with the same airline is accurate for your current destination: read the small print. Low-cost carriers will always charge for every extra. That's how the airline turns a profit. But the extras are hardly hidden. On a positive note, Chui says economy passengers are packing far more efficiently these days. So some airlines (Emirates for example) have increased the economy baggage allowance to 30 kilograms, knowing the overall weight in the baggage hold will still be economic. When Qantas's Joyce launched Project Sunrise, he asked for "blue sky thinking". Why couldn't there be an gym in the baggage hold? A "dormitory" for economy passengers who want to pay an extra fee to sleep lying down? Industry veterans have heard it all before. Remember the "mile high" nightclubs, spas and swimming pools that appeared in artist's impressions before the A380 was launched? When it comes to grabbing headlines, no-one does it better than another Irish-born airline boss – Michael O'Leary, founder of Ryan Air. O'Leary seems to delight in triggering outlandish headlines. Remember the time he was considering charging passengers a pound each time they went to the toilet? Or his plan to introduce standing room only stalls on Ryan Air? Neither materialised, leaving his customers thinking Ryan Air wasn't that bad after all. Blame it on Louis Blériot, the French aviator with a moustache as long as his propeller. In 1909 he took off from Calais at sunrise, hoping to win the lucrative prize for the first successful crossing of the English Channel. Blériot had no compass, overtook his support ship mid-channel and got lost in fog, but landed safely at Dover. 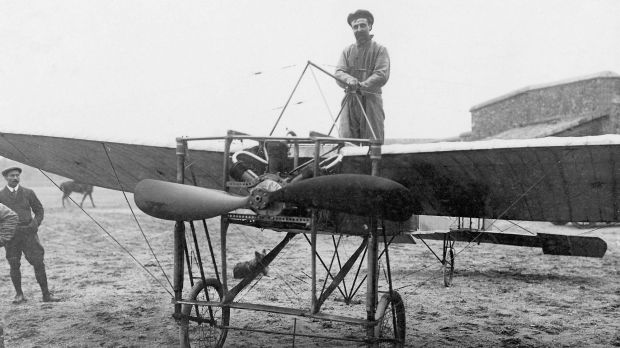 Men and women have been desperate to outdo Blériot ever since. Sir Charles Kingsford Smith, after whom Sydney's airport is named, and co-pilot Charles Ulm completed the first trans-Pacific flight in 1928 in the Southern Cross from Oakland to Brisbane – via refuelling stops in Hawaii and Fiji. Qantas first flew the famous "Kangaroo route" between Sydney and London on December 1, 1947, using a Lockheed Constellation. It involved six stops: Darwin, Singapore, Calcutta, Karachi, Cairo and Tripoli, with overnight hotels in Singapore and Cairo. 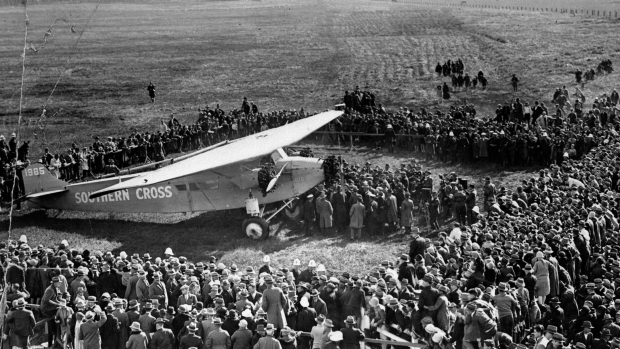 The passenger (29) to crew (11) ratio was less than 3:1. Singapore Airlines' SQ21 and SQ22 fly from Changi to Newark and return using an Airbus A340-500. At more than 18 hours, the flights became the longest non-stop service in the world. 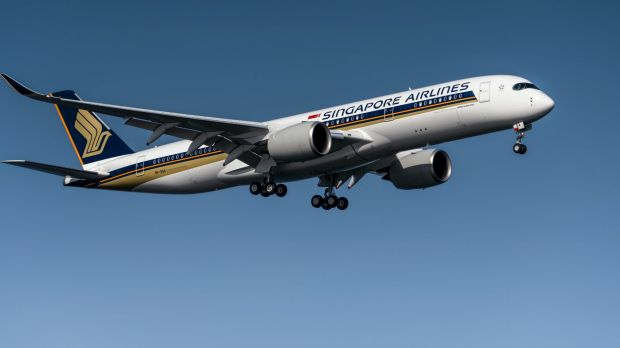 After a five year hiatus, the service will resume on October 11, when Singapore Airlines' SQ22 departs Changi for Newark Liberty international airport in neighbouring New Jersey, a 30-minute or so journey to New York, aboard the new A350-900ULR. Qantas/Emirates now flies that similar distance (10,576 miles or 17,020 kilometres) in just 26 hours 15 minutes – including the stop in Dubai. There are now around 250 different flights to chose from between Sydney and London each week, involving not only Qantas and British Airways but other carriers. Distance 9032 miles (14,536 kilometres). Flight time: 18 hours 5 minutes. Aircraft: Boeing 777-200LR. Distance: 9010 miles (14,500 kilometres). Flight time: 17 hours 20 minutes. Aircraft: Boeing 787-9. Distance: 8824 miles (14,201 kilometres). Flight time: 17 hours 5 minutes. Aircraft: Airbus A380. Distance: 8770 miles (14,114 kilometres). Flight time: 17 hours 50 minutes. Aircraft: Boeing 787-9. Distance: 8596 miles (13,834 kilometres). Flight time: 17 hours 30 minutes. Aircraft: Boeing 787-9. 7. QANTAS: SYDNEY – FORT WORTH. Distance: 8578 miles (13,805 kilometres). Flight time: 17 hours 15 minutes. Aircraft: Airbus A380. Distance: 8447 miles (13,594 kilometres). Flight time: United – 17 hours 5 minutes, Singapore Airlines – 16 hours 40 minutes. Aircraft: United – 787-9, Singapore Airlines – A350-900. Distance: 843 miles (13,576 kilometres). Flight time: 16 hours 50 minutes. Aircraft: Boeing 777-200LR. Distance: 8390 miles (13,502 kilometres). Flight time: 16 hours 30 minutes. Aircraft: Boeing 777-200LR.